MyUW is your personal portal to the University of Washington. Signing in with your UW NetID displays an overview of personal content, and gives you access to Web resources you need to start your work at the University. 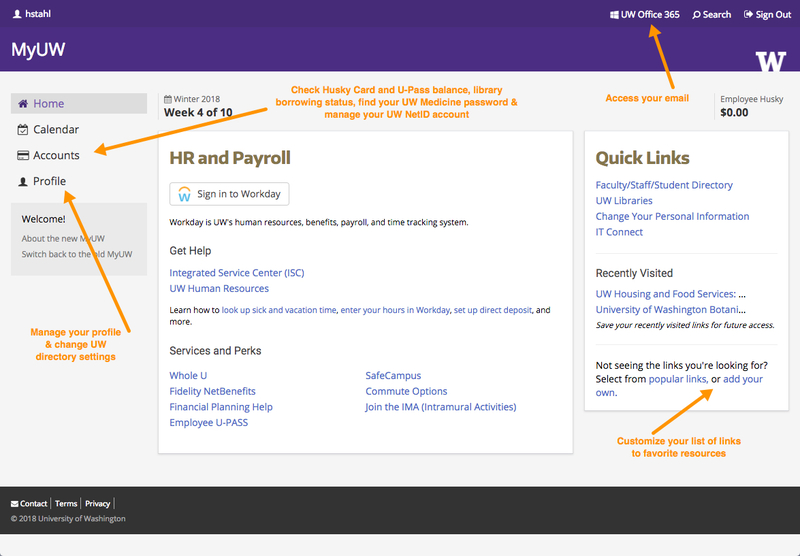 Based on your affiliations with the University, MyUW provides a personalized set of resources.